Rhode Island Association of Community Action Agencies (RICAA), Providence VITA Coalition, Citizens Bank, and the United Way of Rhode Island are collaborating on the launch of a campaign to build public awareness of the Earned Income Tax Credits (EITC) available to Rhode Island residents who made $55,000 or less in 2018. Twenty-four (24) sites serving all cities and towns throughout Rhode Island will be open starting January 28, 2019 to provide free tax preparation services with the help of Volunteer Income Tax Assistants (VITA). The campaign will educate hard working Rhode Islanders on the IRS’ EITC program and its benefits to individuals and married couples receiving available tax credits for wages earned both at the federal and Rhode Island levels. In 2018, more than 12,000 residents took advantage of the free tax preparation services through the VITA program administered by the RICAA and Providence VITA coalition. 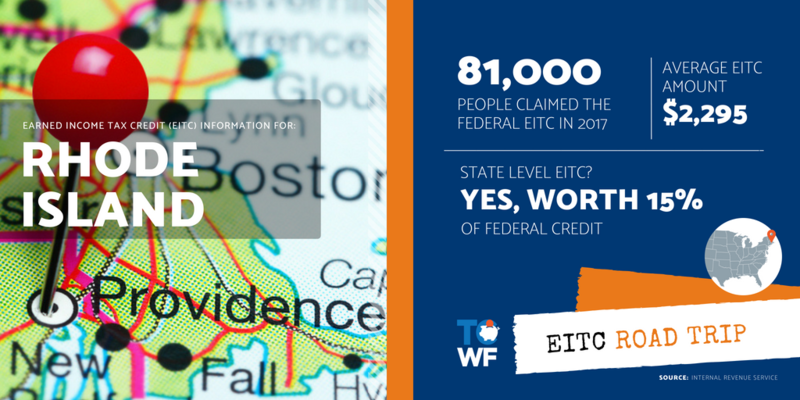 Through available credits like EITC and others, over $19.1 million was brought back to the Rhode Island economy. The VITA Program, now in its fourteenth year, offers certified tax preparers through volunteers at VITA sites throughout Rhode Island including the Providence VITA Coalition and seven (7) member agencies of RICAA. The United Way of Rhode Island has also been supporting the program and VITA sites since 2004, with the operation of twenty-four (24) locations in Rhode Island. Information on site locations and free tax preparation is available to all tax filers at http://freetaxhelp.ricaa.org/ or by calling United Way’s toll-free referral line, 2-1-1. In addition, both coalitions received grants from the Internal Revenue Service (IRS) to assist with providing free tax preparation in Rhode Island. “Increasing awareness around the Earned Income Tax Credit program is critical to getting more than $4.9 million into the hands of hard working Rhode Islanders who are eligible for them, but don’t know they are,” said Barbara Cottam, Rhode Island Market Executive for Citizens Bank.